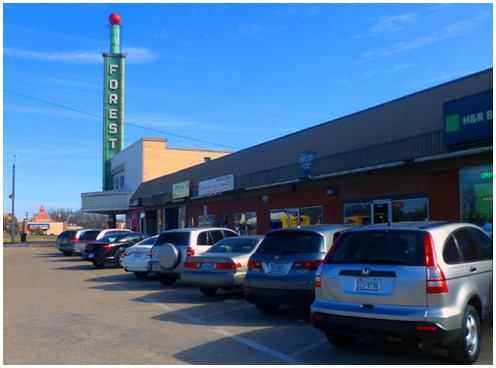 ​​ DALLAS – The historic Forest Theater and its adjacent retail strip along Martin Luther King Jr. Blvd. in South Dallas has sold to CitySquare, who is planning to restore the long-vacated theater into a performance and teaching space. The 1949-built theater, which has been vacant nearly a decade, totals 14,565 sf with a signature neon-clad tower. The 31,114-sf retail property encompasses an entire city block between I-45 and U.S. 175, which is about three miles from downtown Dallas. ​Want mo​re data? See DFW Retail Market Research.